There is no better way to prepare for race day than by picking up the pace and putting miles behind you! 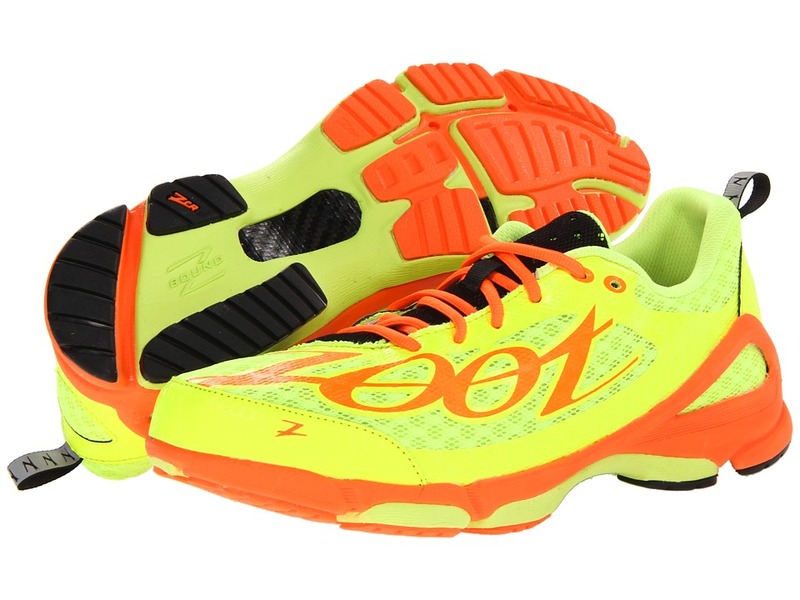 Find the responsive cushioning lightweight ride you want in the Zoot Sports TT Trainer 2.0! ; Breathable mesh upper with lightweight synthetic overlays. Asymmetrical lacing for a better fit. Tongue and heel pull loops for an easier on and off. Soft fabric lining for a great in-shoe feel. Foam insole supplies light underfoot cushioning. CarbonSpan+ shank is lighter and stronger than plastic, and is tuned to running to provide maximum control and a powerful toe-off. Zbound midsole provides a dynamically responsive ride. Blown rubber outsole for light forefoot cushioning and reliable grip. Imported. Midsole Height : Heel/Forefoot: 21mm/11mm. Differential: 10mm. Didn’t find the Shoes you were looking for? How about these? A heavy toe and heel bumper distinguish this logoed offering from Polo Ralph Lauren….